LS swaps are all of the rage, to the point of crossing boundaries in different segments of the automotive world. Many of those who have completed an LS swap, have done so by utilizing a carburetor or a carb-like throttle body system. It’s a somewhat unorthodox format, but it allows for many enthusiasts to compete in different forms of motorsport, as well as create the hot rod or race car of their dreams. Holley/MSD has just announced their Single-Plane, split Design Race Intake Manifolds for GEN-III LS-based engines with cathedral port heads. Geared towards more dedicated race cars, Holley/MSD has elaborated on all of the details below! Holley/MSD is pleased to announce the release of Single Plane Split-Design Race Intake Manifolds, which have been developed specifically for high-performance and race Gen III LS engines with cathedral port heads and 4150-style square-bore flanged carburetors or throttle bodies. Their special two-piece split configuration allows easy disassembly for direct access to internal plenum and port surfaces and makes custom porting and matching a snap – a feature usually found only on the most expensive race intakes. Lighter and less than half the price of other split race manifolds, Holley Single Plane Split-Design Race Intake Manifolds are ideal for 5.3L to 6.2L+ displacement applications and rock-solid up to 7000 rpm. The single-plane design provides extra hood clearance and optimal performance across the entire RPM band, and captured O-ring seals at the split and all eight head ports make reassembly simple and precise. 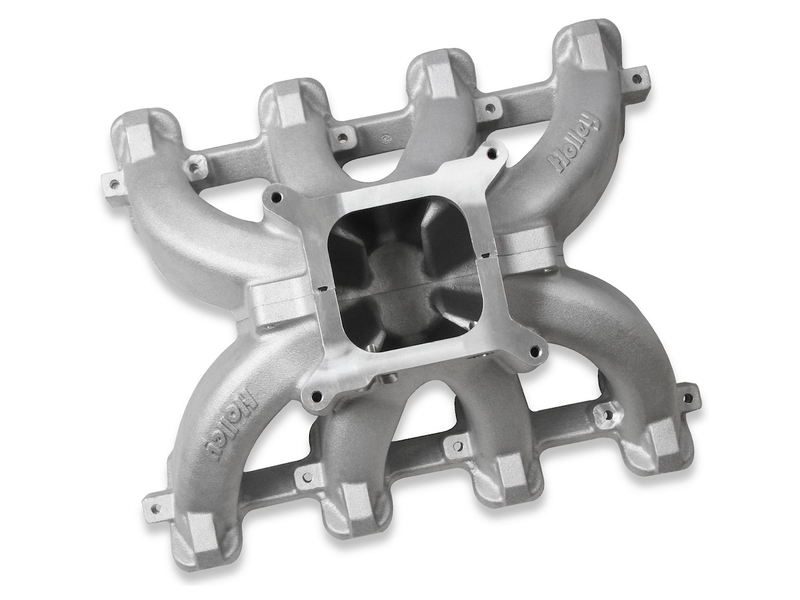 For complete product details for Holley Single Plane Split-Design Race Intake Manifolds, click here.